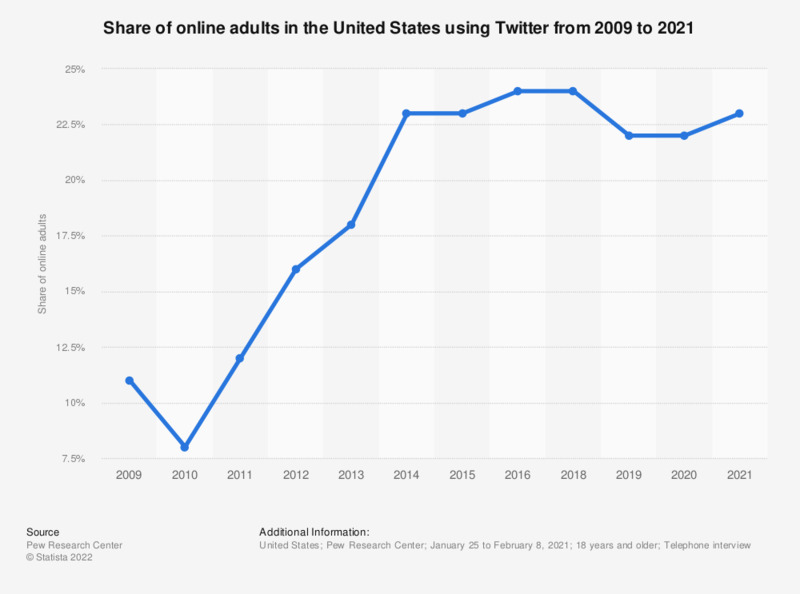 This statistic shows the share of adult internet users who use Twitter in the United States from 2009 to 2018. In January 2018, 24 percent of online U.S. adults used the microblogging service, up from 18 percent in 2013. Data regarding 2009 to 2016 from earlier reports. Women: How much do you agree with the statement that you like to share life’s special moments via social media?